I was looking for something that would embed itself inside you subconsciously. Something that could constantly affect your brain. My desire was a mind shifting experience from experimentation and arrangement of sounds, format and ideas. 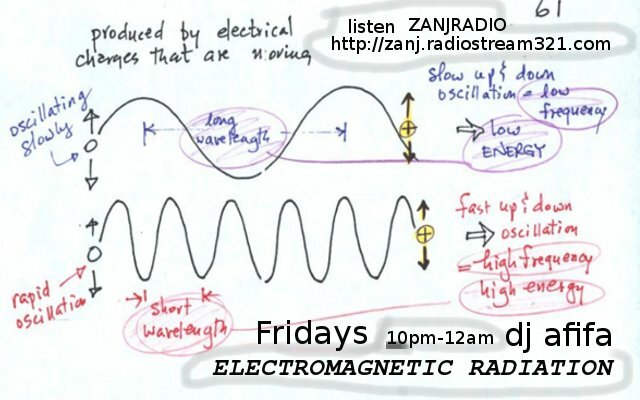 This is what i call the Electromagnetic radiation on ZANJ RADIO. A series of experiments with sound ideas and moods altering your understanding imagination and expectation.